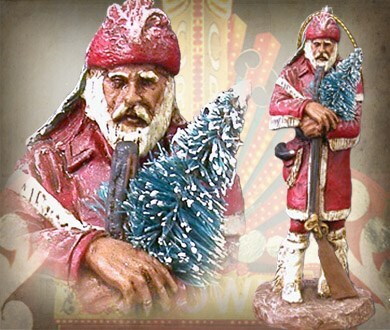 Michael Garman’s classic Early American sculpture – “Christmas Mountain Man” – reproduced in miniature. Celebrate the holidays with the perfect stocking-stuffer or Christmas tree ornament. Includes ornament hanger and special gift box. Miniature measures 3.5″ tall. ©1987/2008. Handpainted finish. #H901.